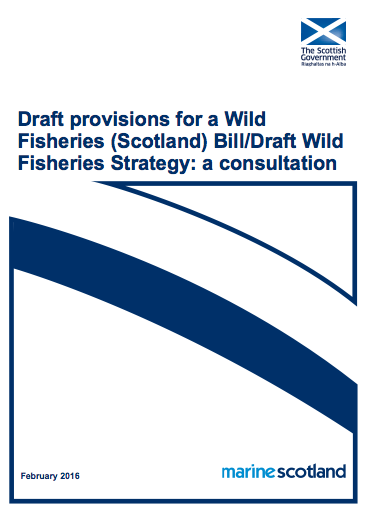 The SGA Fishing Group has published its initial draft of the consultation on a Wild Fisheries (Scotland) Bill, which is due for submission on May 2nd, 2016. We are now inviting SGA Fishing Group members- and river workers currently not yet members of the group- to comment on the draft and suggest further refinements ahead of the deadline. We would also encourage individual members to send their own personal response to the consultation ahead of the deadline. The consultation (amongst other things) will be discussed briefly at the SGA Fishing Group meeting at the SGA office in Perth this Thursday (21st April) at 7.30pm. Attendees can bring ideas with them for discussion, along with campaign issues they would like to see the SGA Fishing group advancing in Parliament and in the media in the coming months. SGA Chairman Alex Hogg, SGA Fishing Group Ambassador Charlie Whelan and members of the group look forward to welcoming attendees to Thursday's meeting.